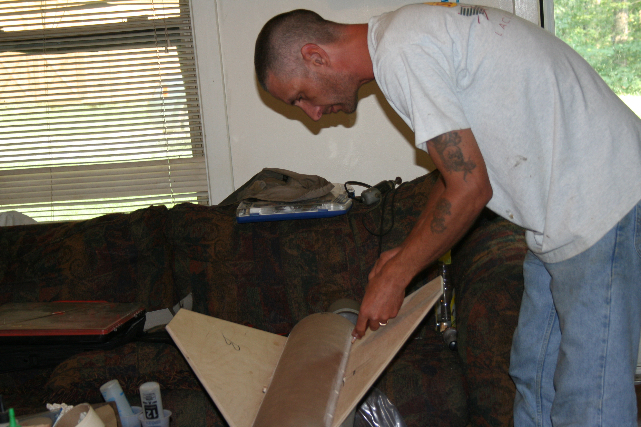 Dennis Stevens (Albert's Brother) holding up plywood fin sheet. 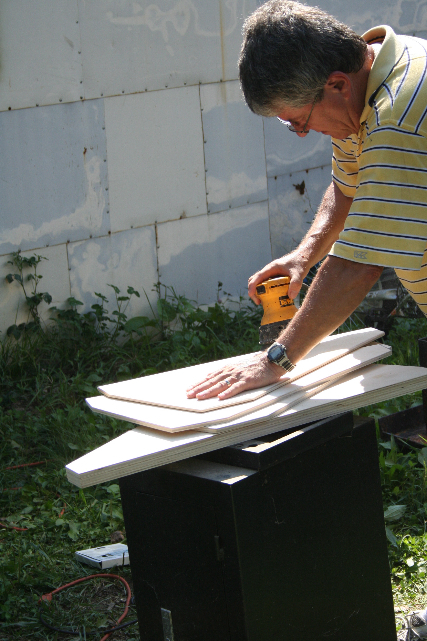 Dennis cutting fins from plywood. 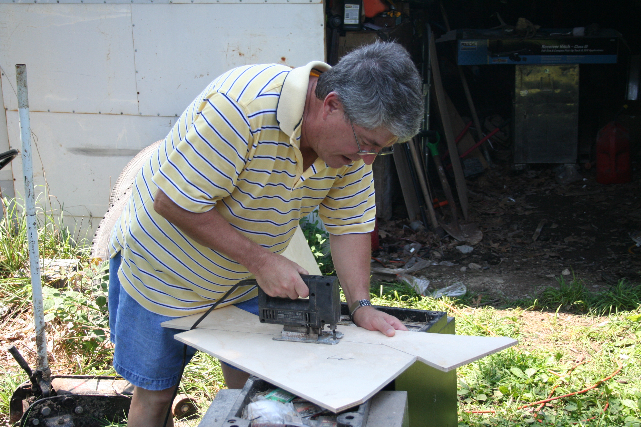 Darryl Hankes helping cut fins from plywood stock. 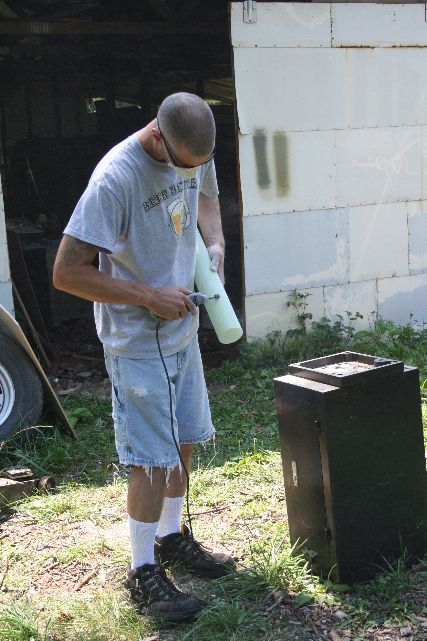 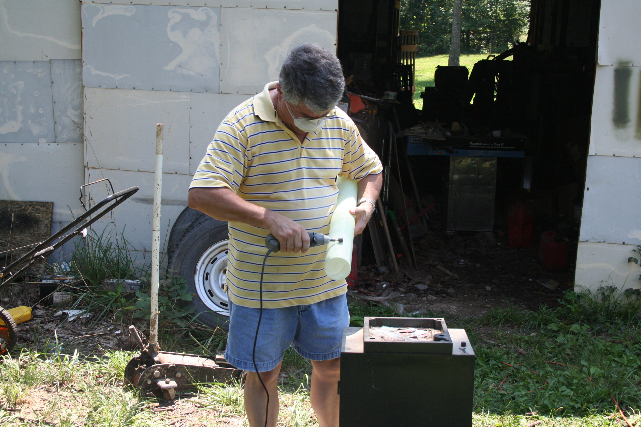 Dennis taking his turn at sanding motor tube. 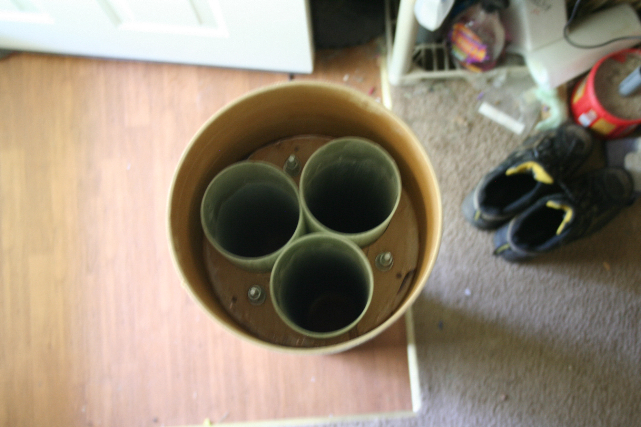 Sustainer Stage Motor Tube Assembly (3 x 75mm). 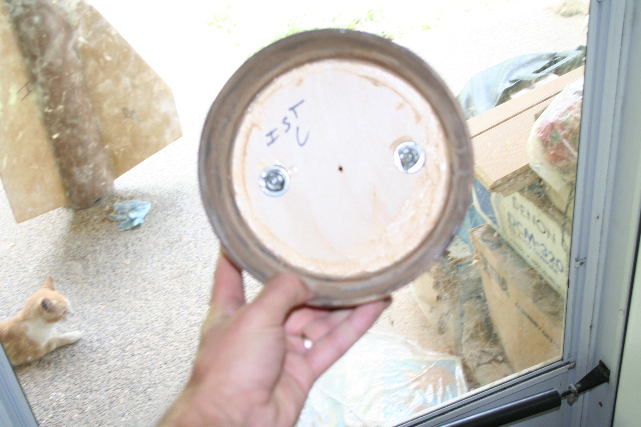 Plywood bulk heads ready for installation. 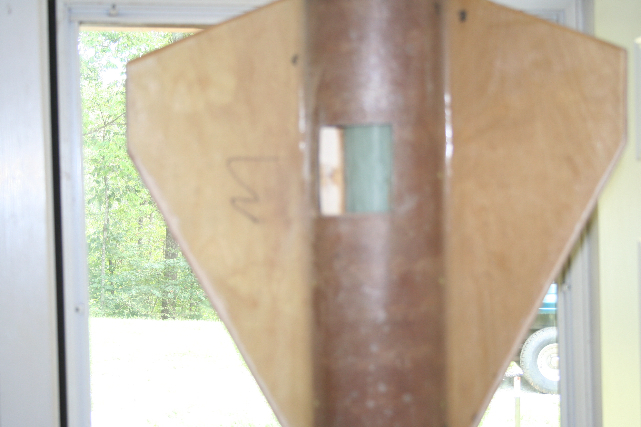 Heres Dennis rounding opposite edge of plywood fins. 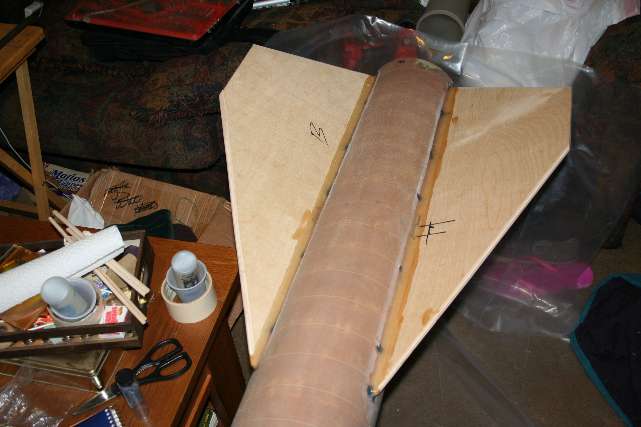 Slot in sustainer stage for the fins. 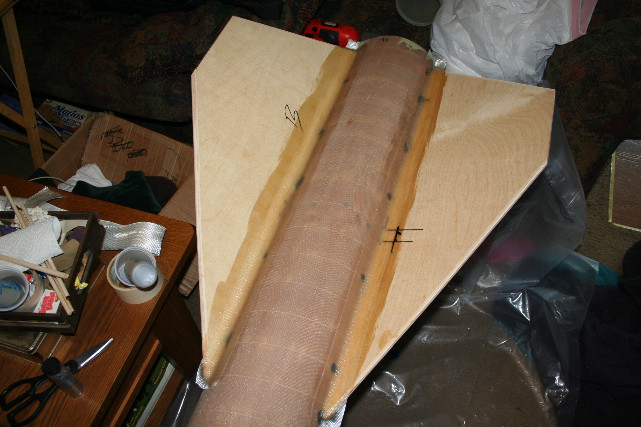 Preparing to Glass the Upper Sustainer. 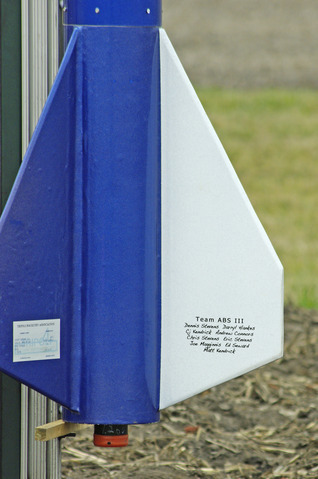 Slots in the booster stage. 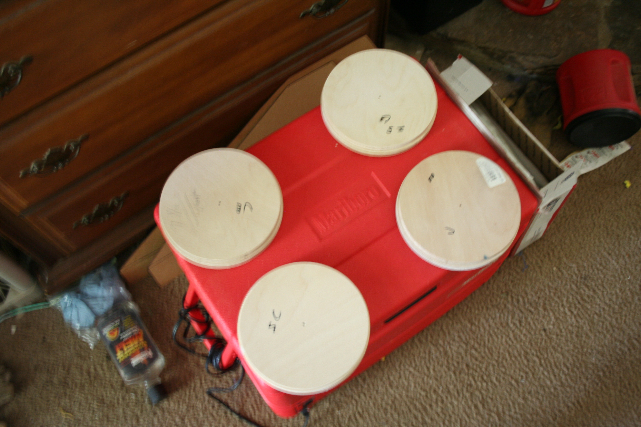 First Stage in Middle, Sustainer on Left and additions to 1st and Sustainer on Right. 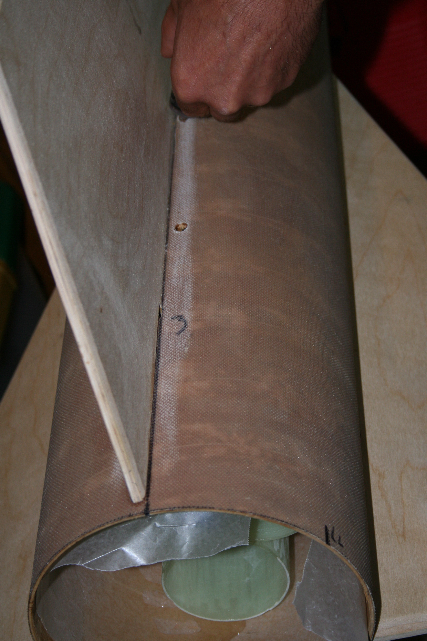 Darryl produces interfillets for booster fin reinforcement. 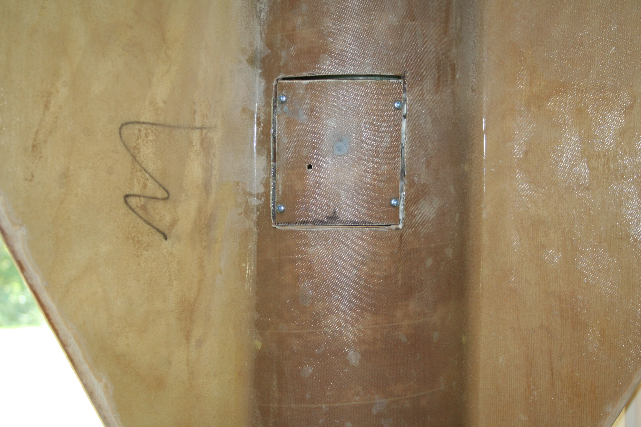 Interfillets for upper stage fin reinforcement. 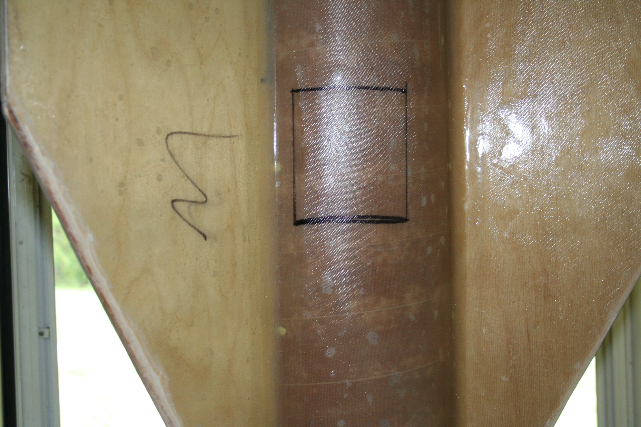 Close up of area where interfillets were produced in sustainer. 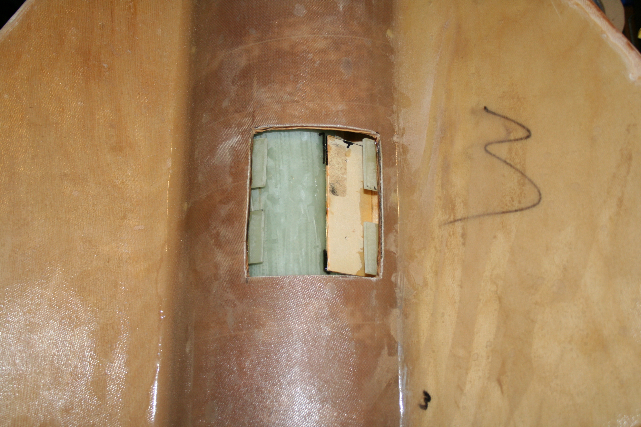 Epoxy/glass applied over the joint. 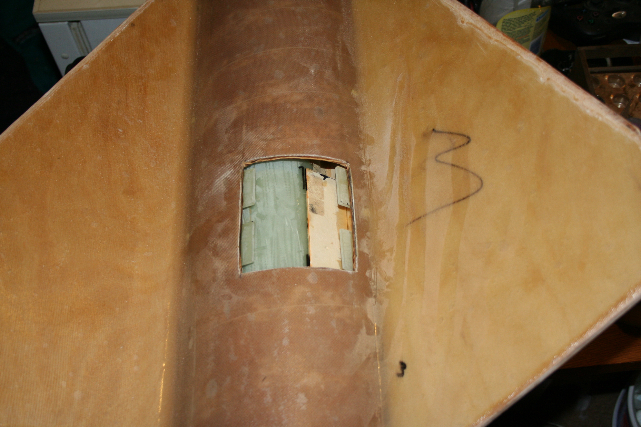 Booster Stage Glass reinforcement of joints. 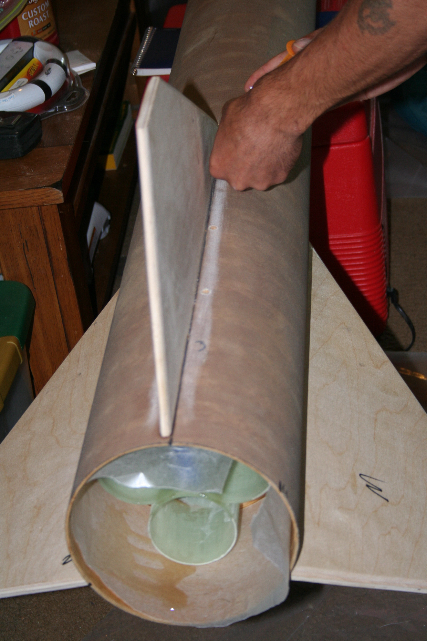 Application of Glassing to Sustainer Stage. 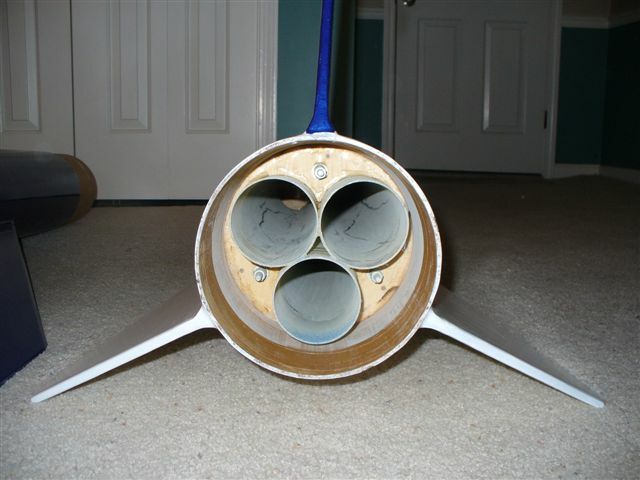 Close up view of interstage tube coupler. 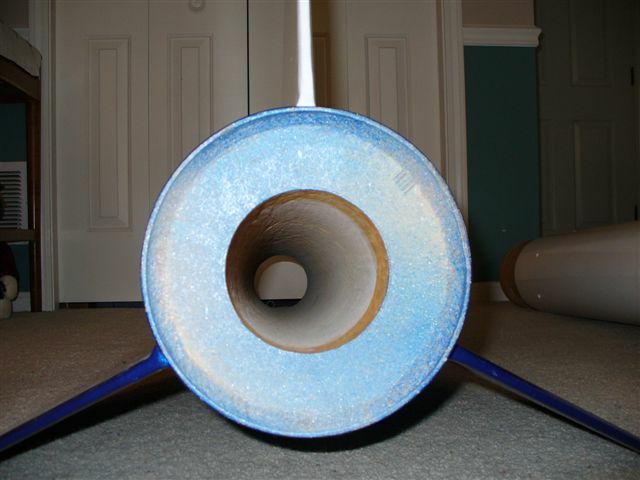 Inside look of interstage tube coupler. 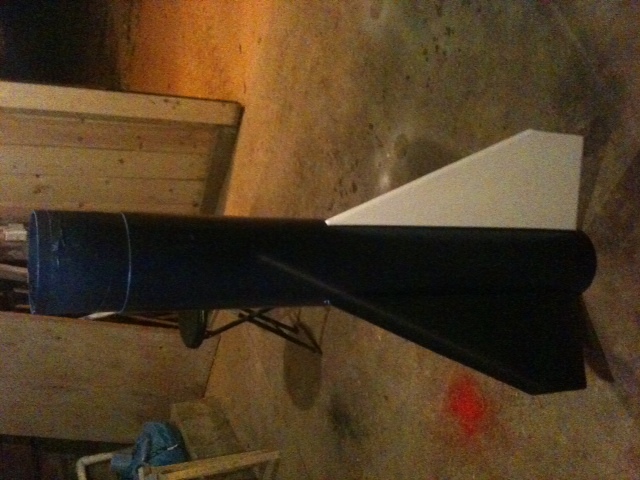 Upper Stage with payload section attached. 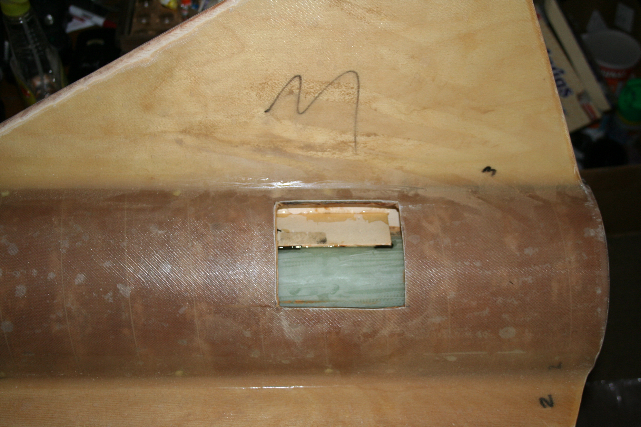 Where glassed tube will be cut for air start electronics access. 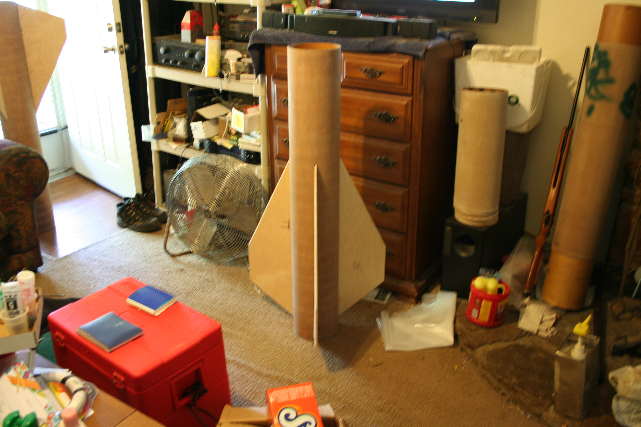 Cut out for air start electronics area. 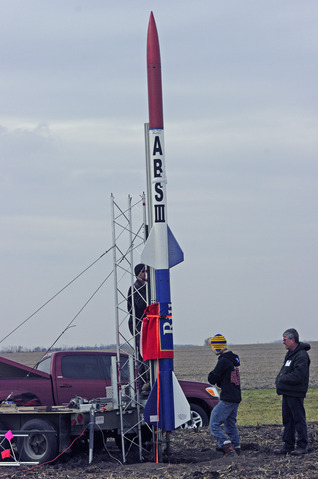 Another view of air start electronics area. 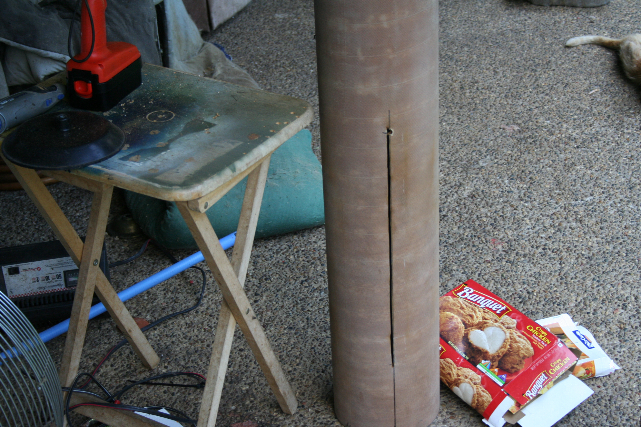 Almost ready for the cover. 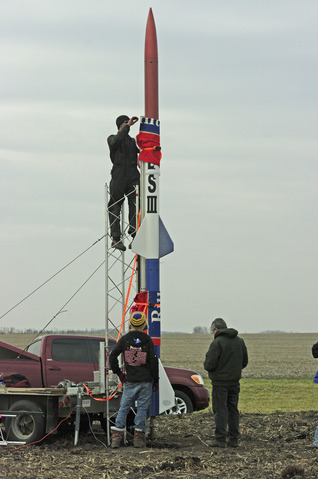 Covering the air start electronics access area. 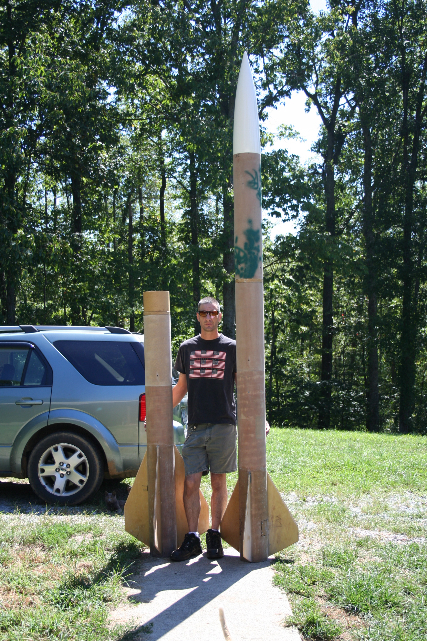 Darryl holding the first stage on the left and the upper stage on the right. 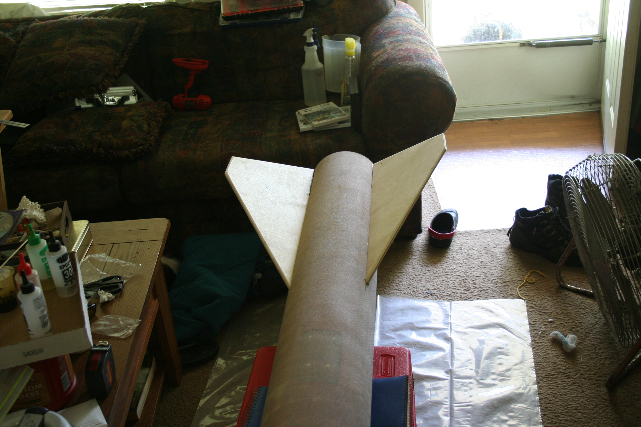 Second Stage Finished Payload Section. 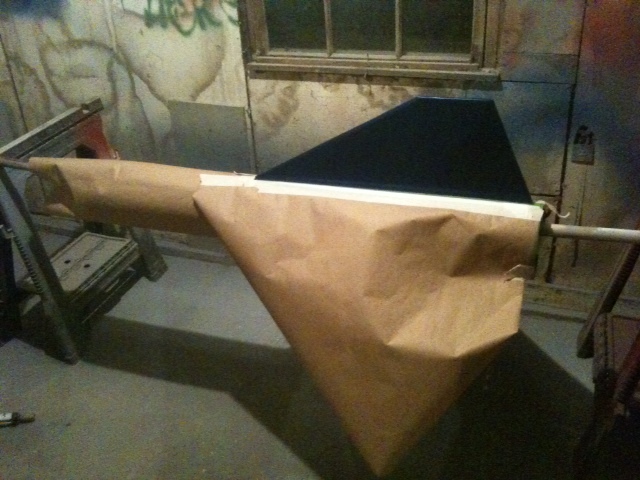 Second Stage Primer Coated Sustainer Section. 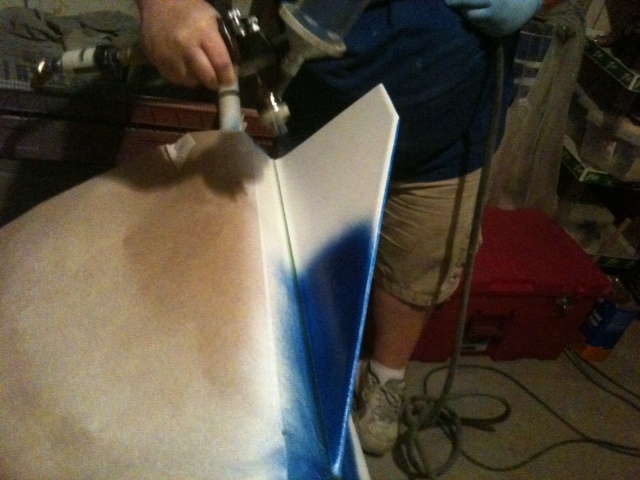 Second Stage Sustainer Section Start of Blue Fin Paint. 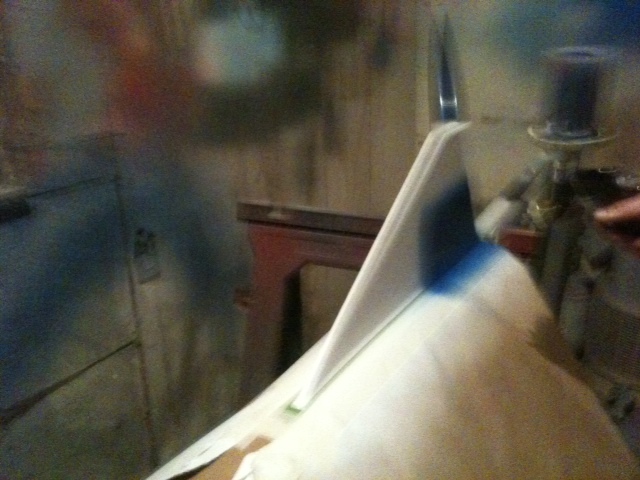 Second Stage Sustainer Painting of Blue Fin. 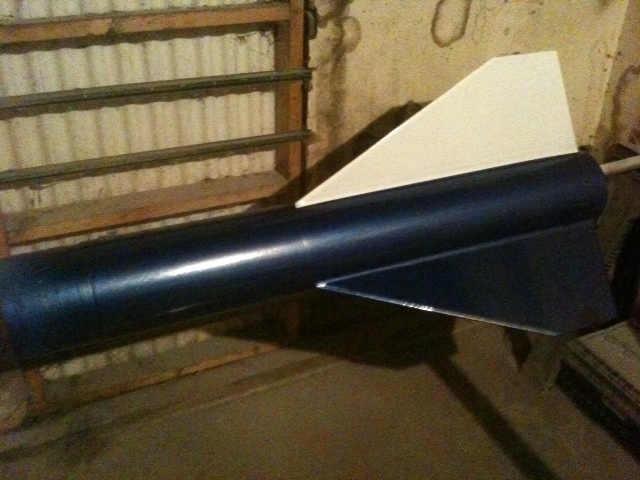 Second Stage Sustainer Painted Blue Fin. 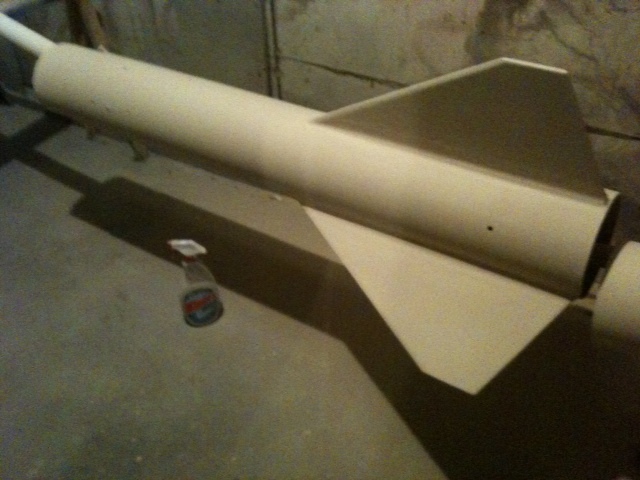 Second Stage Sustainer Section Painting Finished. 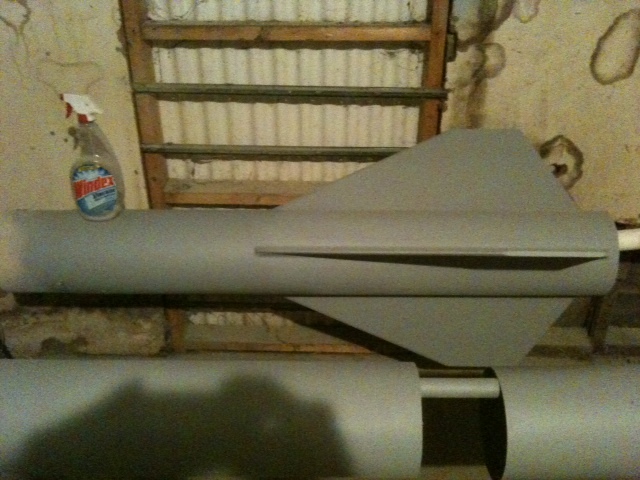 First Stage Booster Section with Primer. 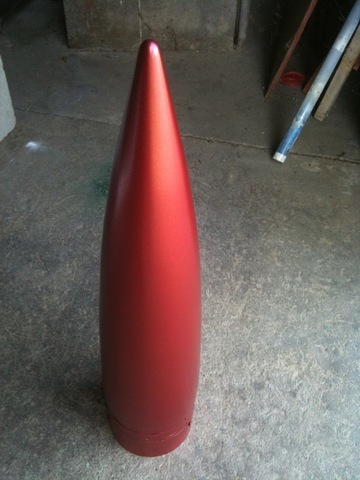 First Stage Booster Section Painting Finished. 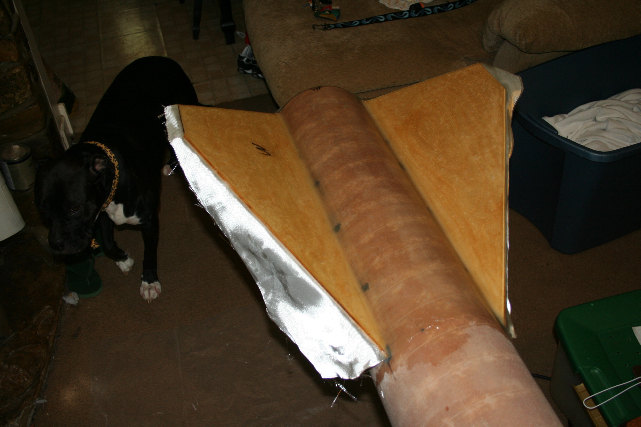 Booster Section Aft View (98mm Motor Tube). 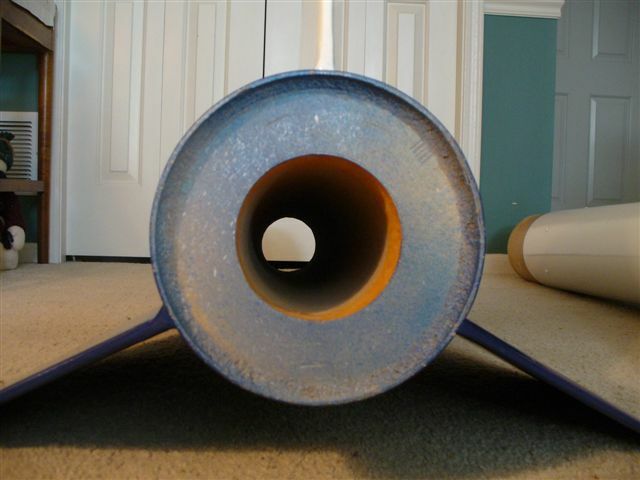 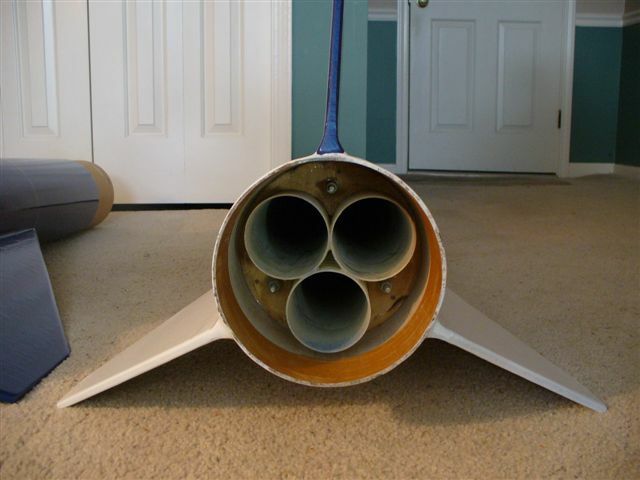 Sustainer Section Aft View (3 x 75mm Motor Tube). 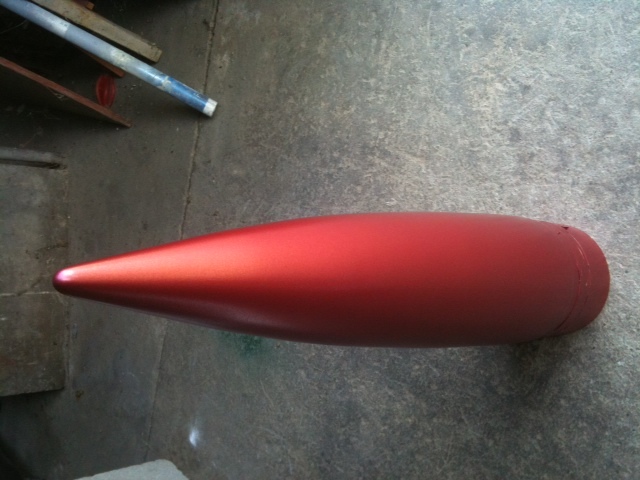 Indoor View of All Sections Painted by Drew Connners & C.J. 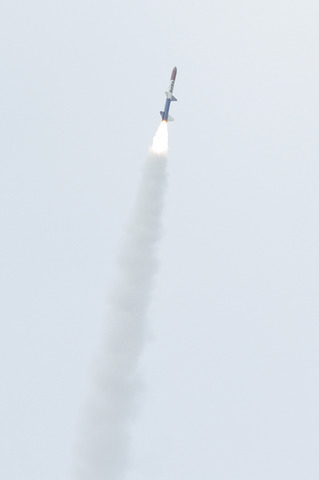 Kendrick. 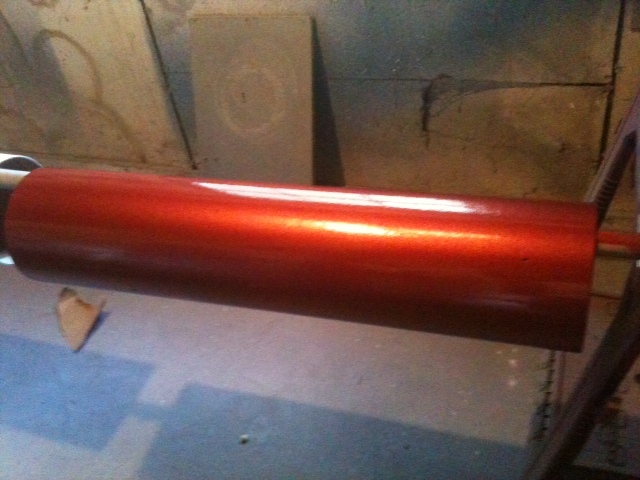 Another Indoor View of Painted Sections. 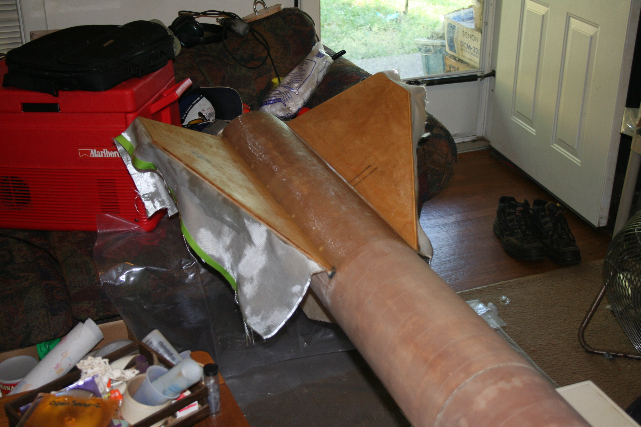 Indoor View of Painted Sections. 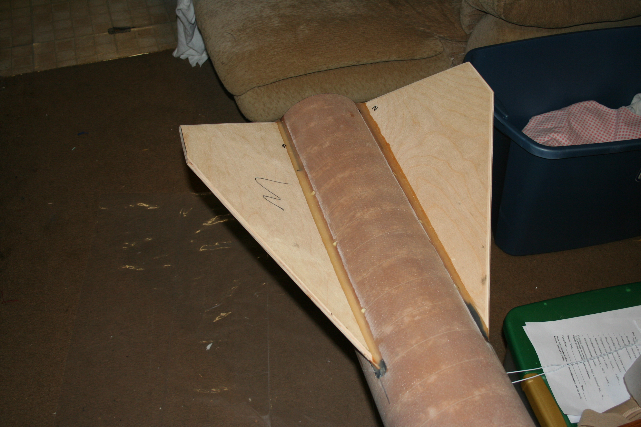 Another View of partially Assembled Sections. 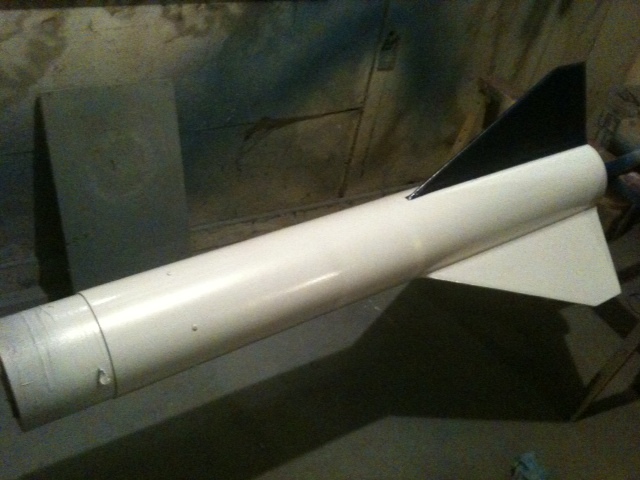 Closer View of Painted and Partially Assembled Sections. 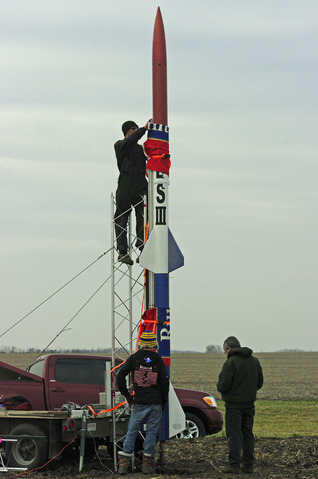 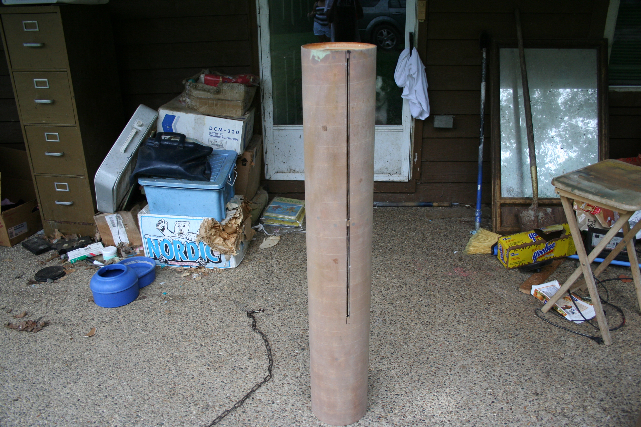 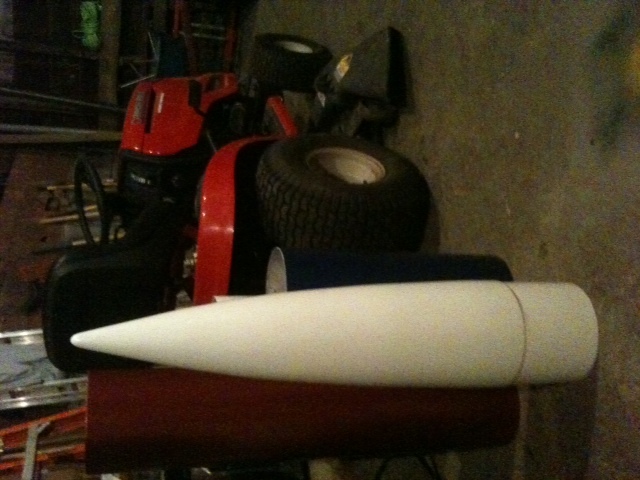 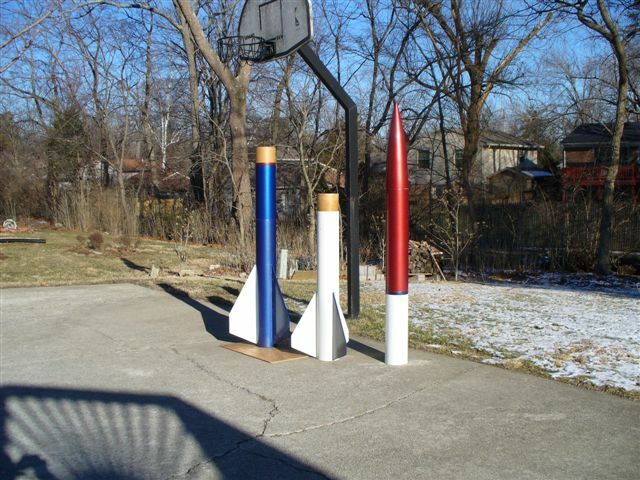 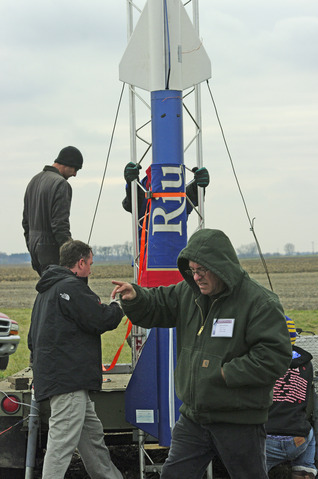 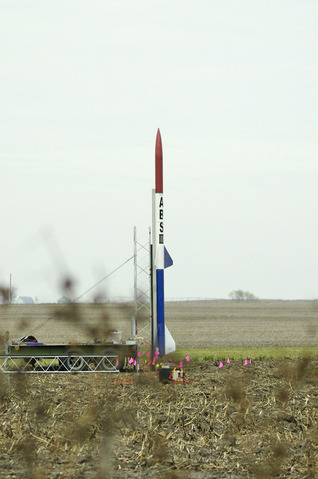 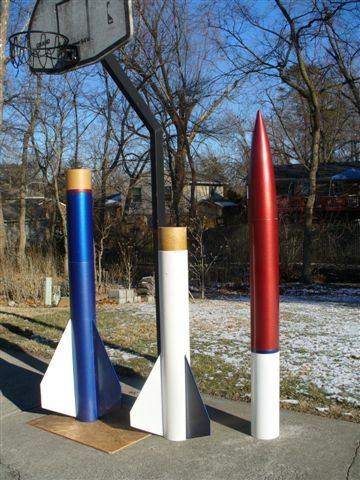 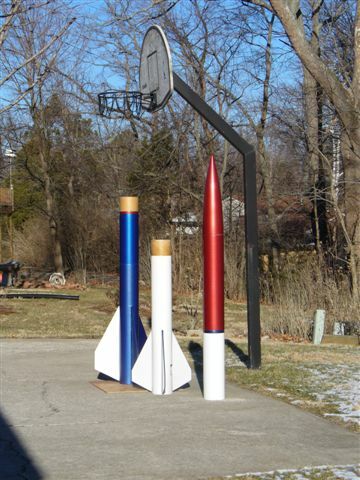 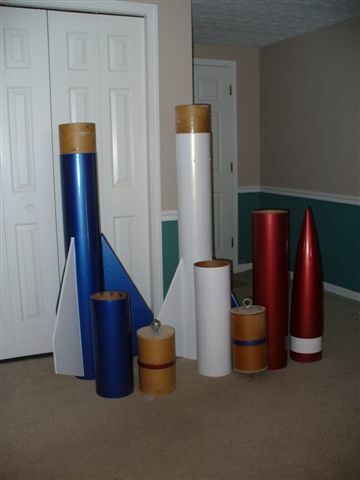 Another View of the Assembled Rocket. 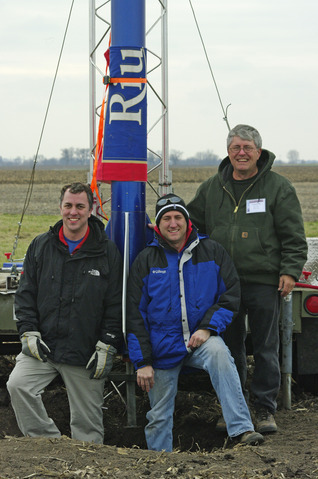 Dennis & Sons Posing with ABSIII. 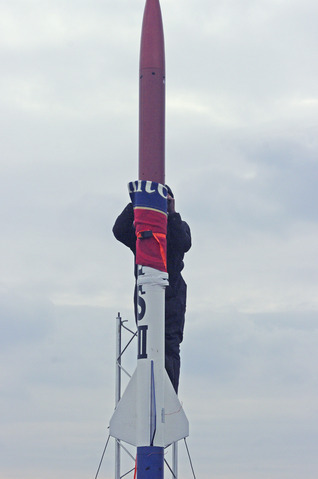 Darryl Getting Ready to Climb Tower. 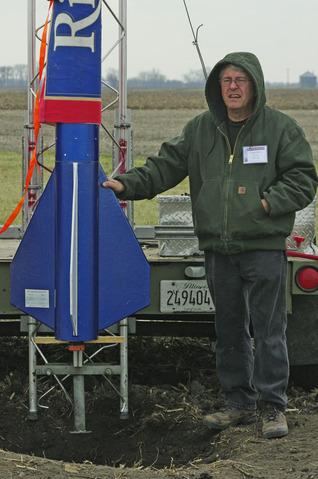 Dennis Posing with Albert Stevens III. 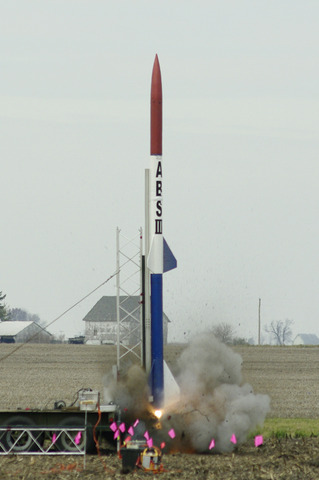 5, 4, 3, 2, 1, 0, - Ignition. 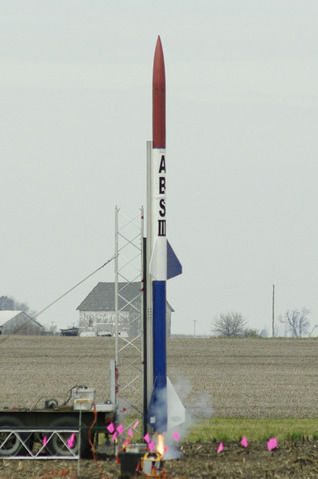 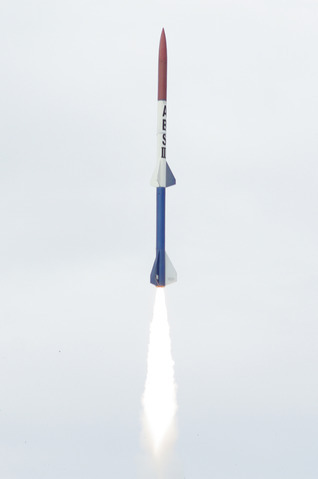 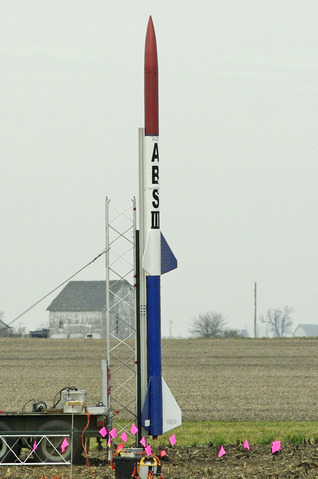 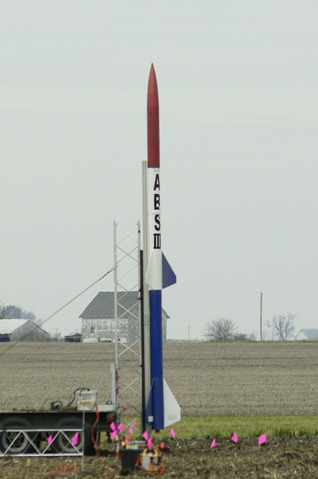 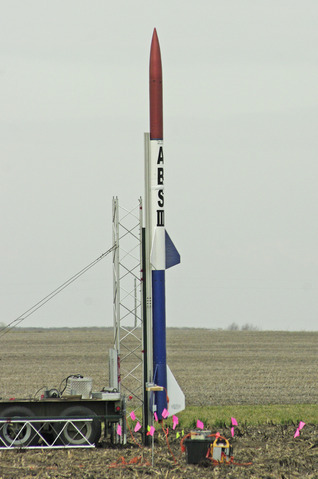 ABSIII Clears the Launch Tower. 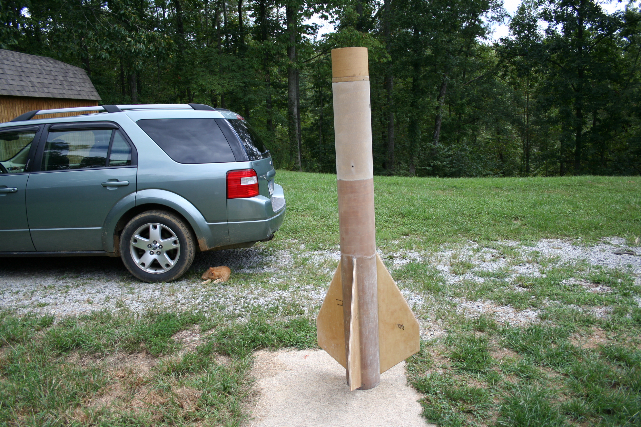 Albert Stevens III started the build as an L3 project. 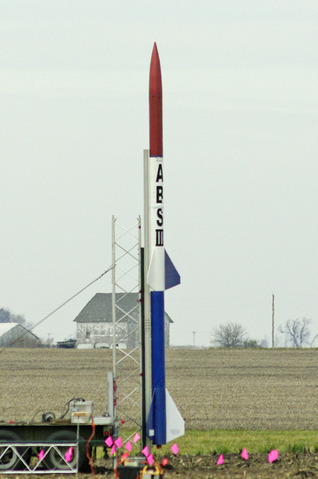 Dennis Stevens (Albert's little brother) wanted to honor Albert by completing the build and launching it. 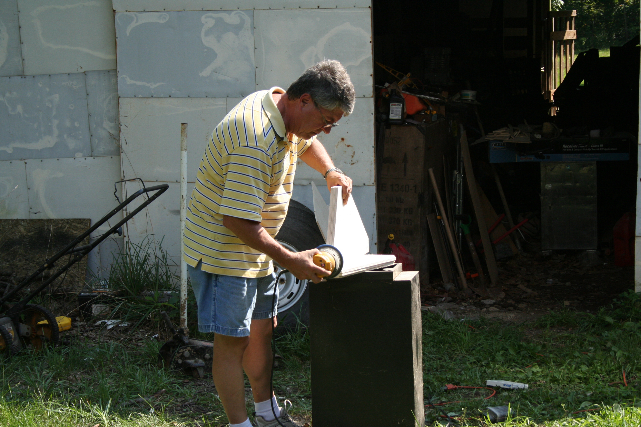 He did not know how to continue the build and asked Darryl for assistance. 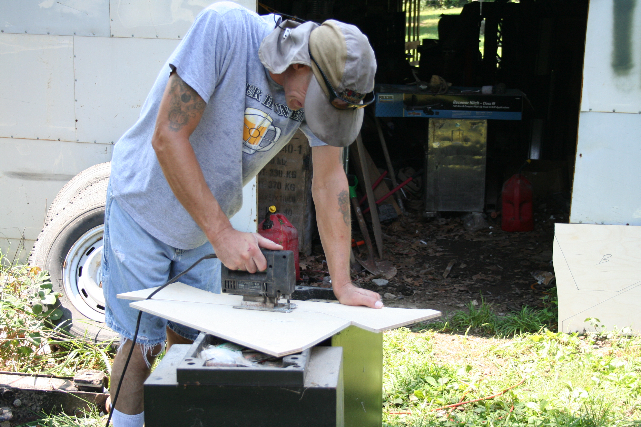 With Darryl's help and assistance from Drew and CJ the build was continued. 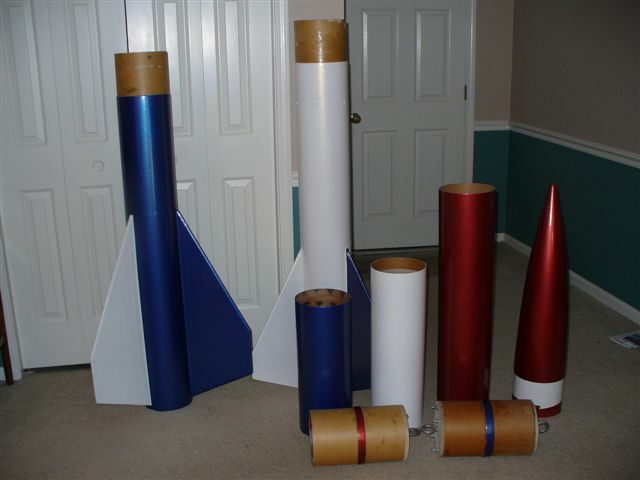 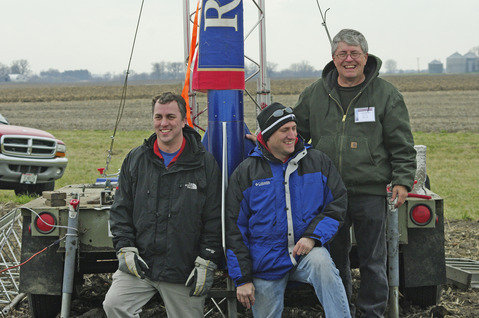 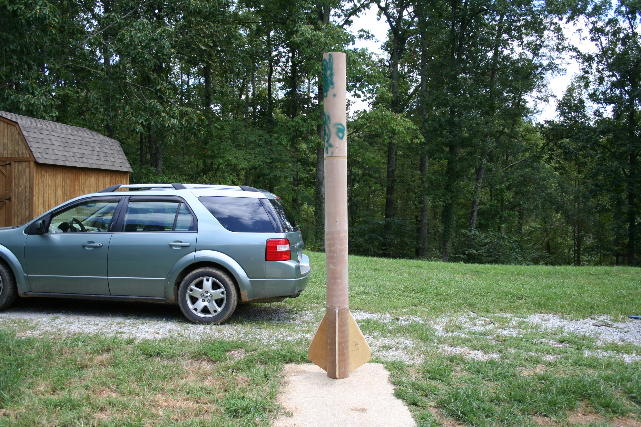 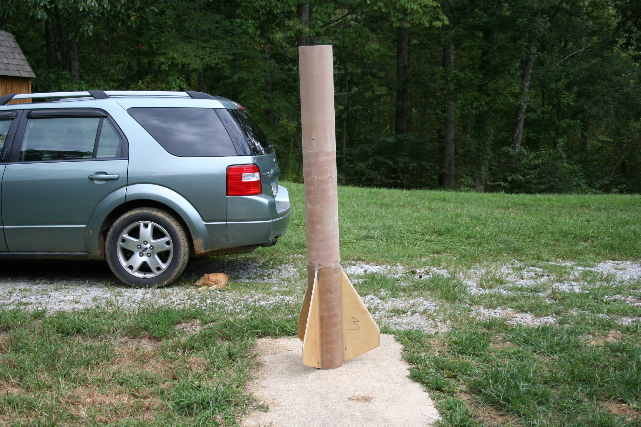 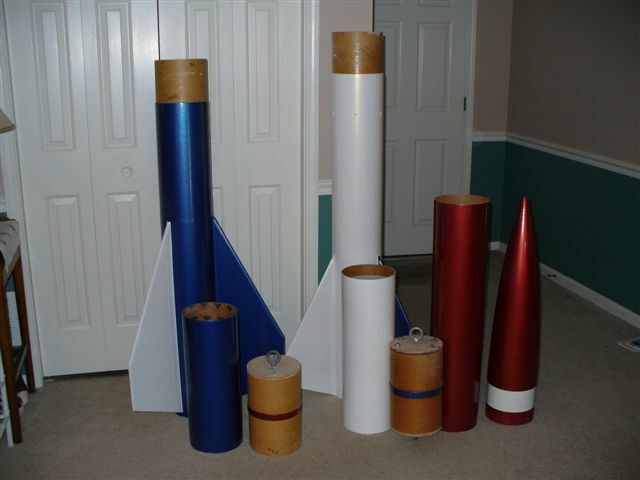 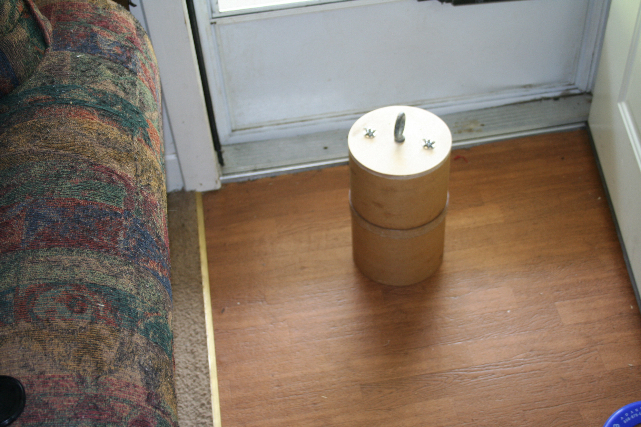 Rocket Weight - 80 pounds without motors and motor hardware. 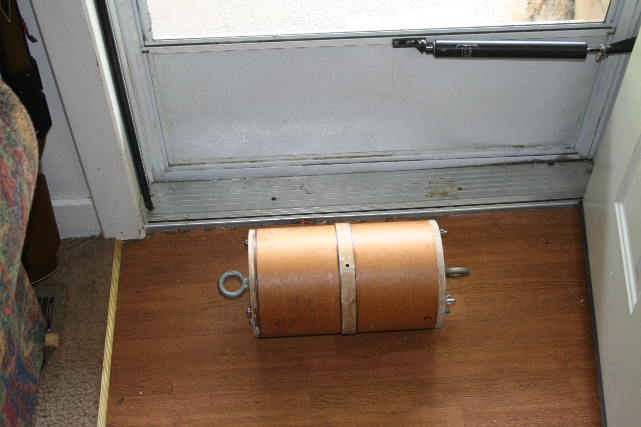 Motor Weight - 70 pounds motors and motor hardware. 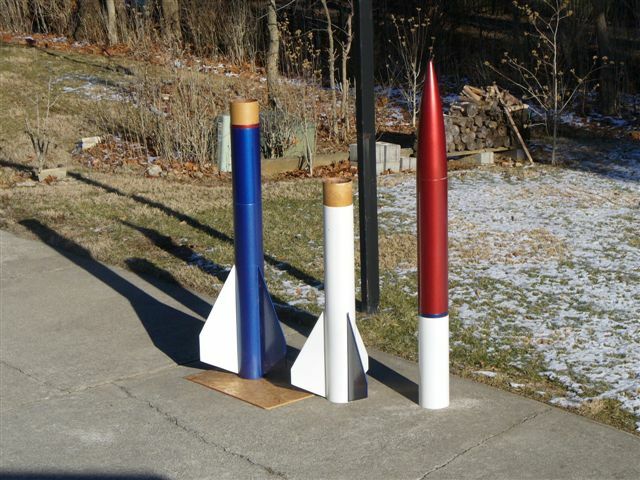 Lower Section Thrust - One CTI Pro98 N5800 C-Star Motor (98mm 6 grain XL)(3.86" x 48.78"). 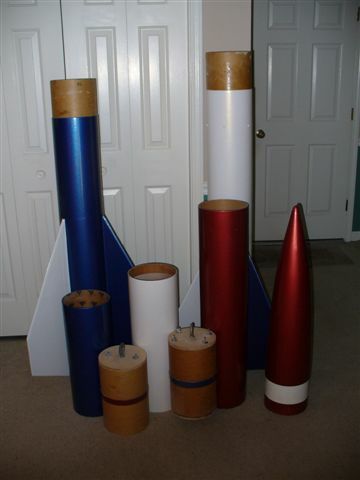 Sustainer Section Thrust - Three CTI Pro75 M1300 I-Max/Dual Thrust Motors (75mm 5 grain)(2.95" x 29.80"). 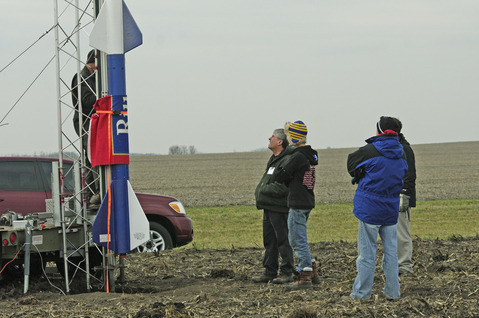 Booster Average Thrust - estimated to be 1299 pounds. 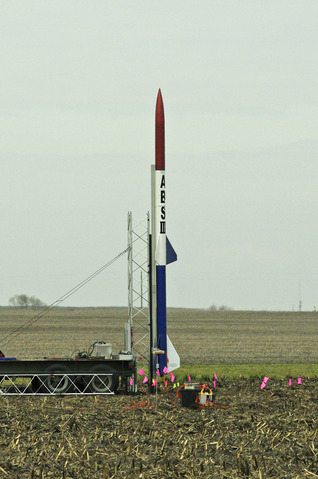 Sustainer Average Thrust - estimated to be 942 pounds. 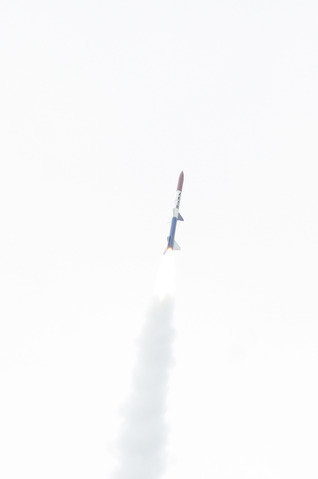 Alitude - estimated to be 15,000 feet. 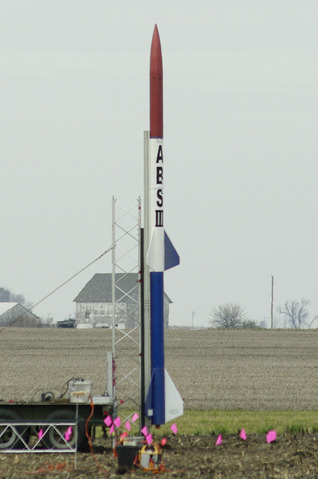 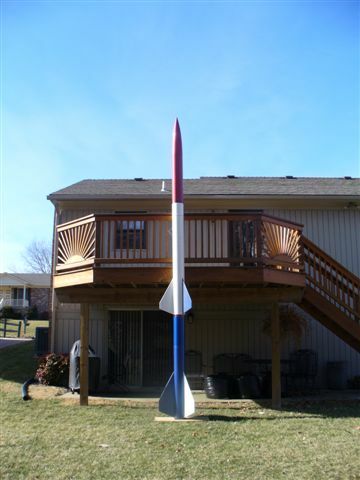 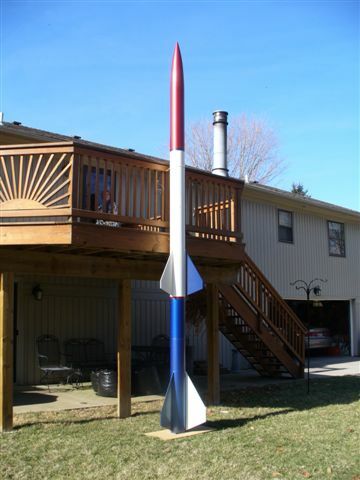 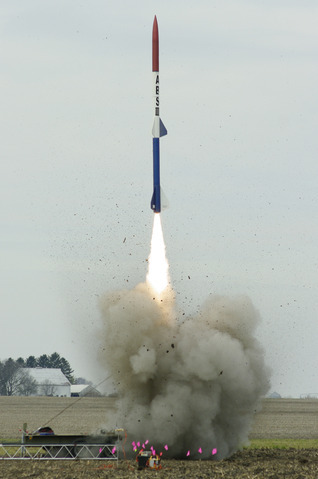 Thrust/Weight ratio - Booster 9:1. 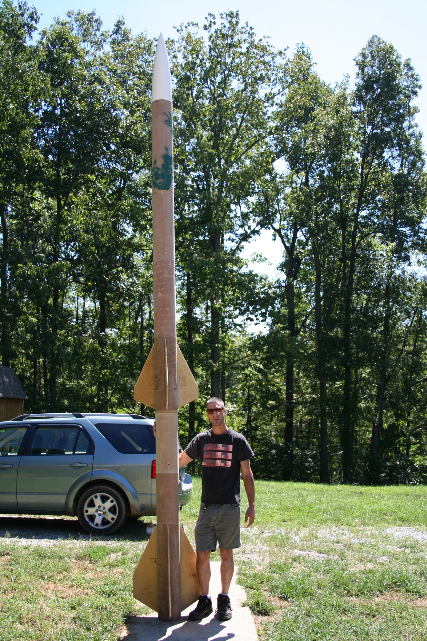 Thrust/Weight ratio - Sustainer 10:1. 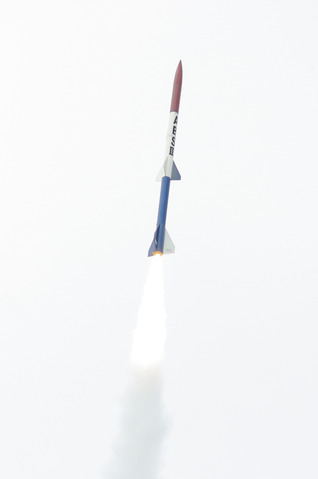 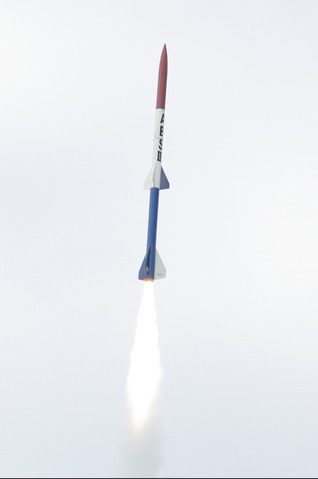 Dual Ejection - R-DAS Flight Computer for Main Separation. 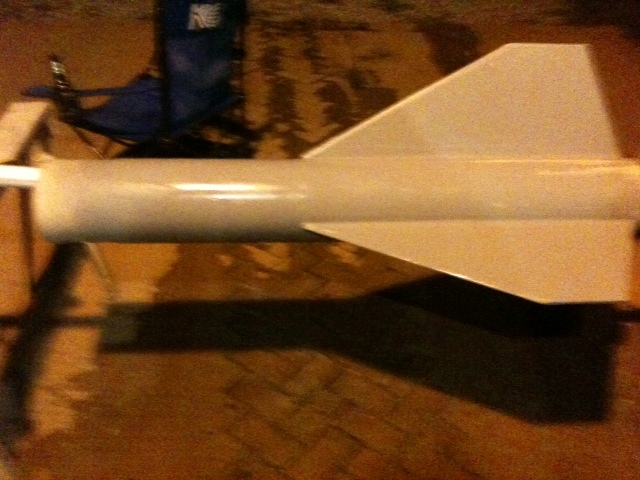 Altimeter - Perfect Flight Hi-Alt 45. 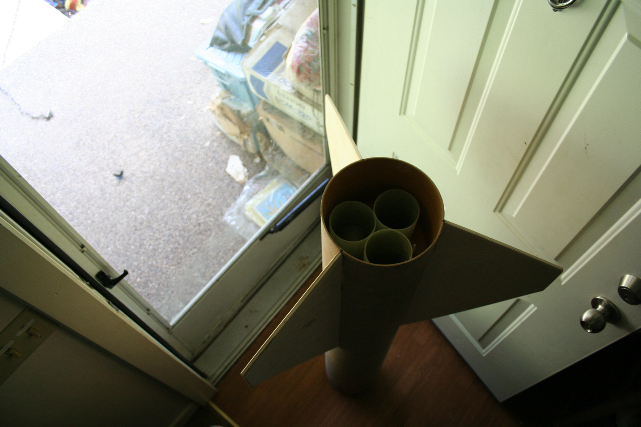 Tracking - Separate Booster & Sustainer systems. 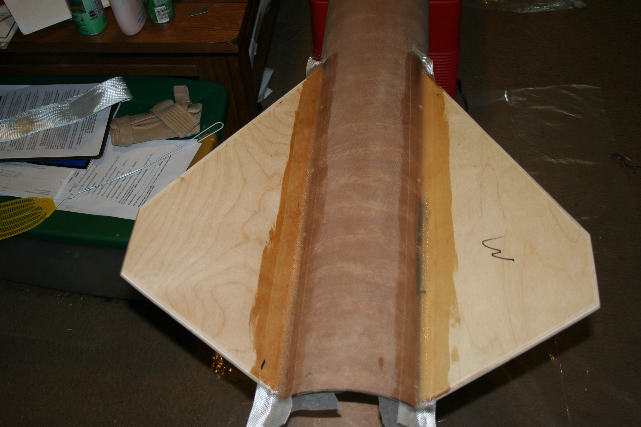 Fins - Booster: 3/8" Plywood 30" long X 10" span. 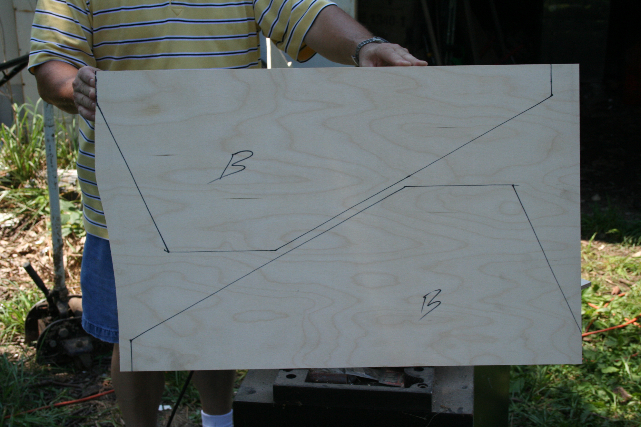 Fins - Sustainer: 3/8" Plywood 24" long X 9" span.